I came across this saying the other day and immediately sent it to the Hubs. It’s a great reminder that our sweet girl wants to explore and learn and play and sing and help etc. 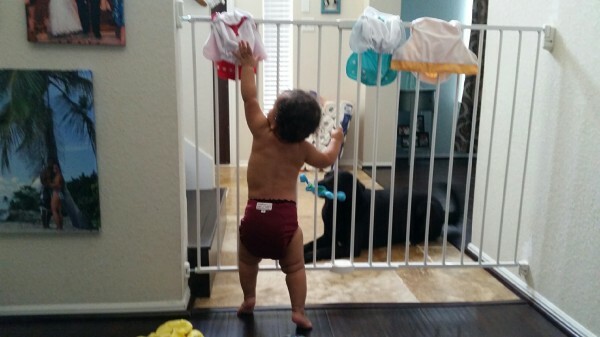 I had her diapers air drying the other day and she was so very helpful bringing them to me to stuff. 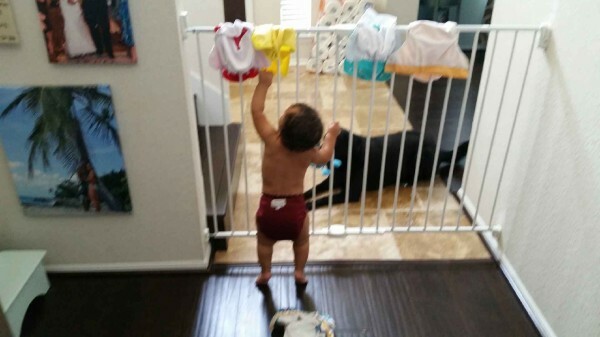 Once she pulled them all down she moved to the other baby gate and pulled them down as well. We’ve got one very helpful Milkshake! So true with that sign! And, what a good little helper!